Could the global butter shortage be good for Australia? Imagine a world without butter – then turn that terrifying dystopian vision into reality. Yes, folks, if 2017 hadn't already offered enough geopolitical brickbats, along comes a global butter shortage that means even comfort-eating croissants may become a rare luxury. This article comes with a trigger warning, although unfortunately some readers will already have been exposed to the distressing photographs of grocery shelves in France stripped of butter thanks to mass panic-buying. Some shops have been putting up signs explaining the lack of butter to their customers. 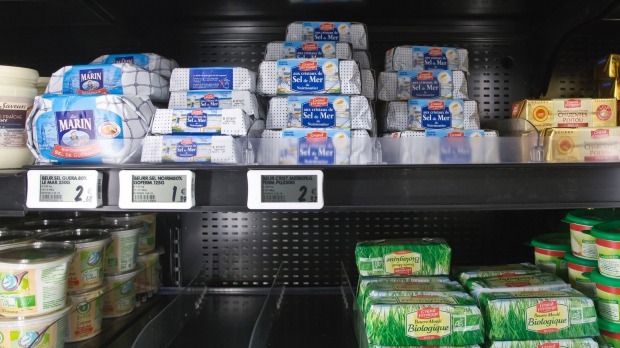 The French federation of bakers, the Federation des enterprises de Boulangerie, has called for the dairy industry to prioritise butter production, which often trails in third place after cheese and cream. Patisseries have already been subject to business-threatening price hikes (some reports put it at about 90 per cent since May last year), and this end-of-days scenario is leaking into the global marketplace. European stockpiles are depleted. In Australia, wholesale prices have increased by 30 per cent over the past few months, and bakers across the nation have started to receive notification from their distributors of further prices rises in the lead-up to Christmas. So what, exactly, is conspiring against ready supplies of carbs' luscious handmaiden? Among the perfect storm of factors is this: the stuff that makes the staff of life taste so much better is a commodity (much like gold, only yellow). More and more Australian pastry chefs ... want to use Australian butter. The increasing demand from Asia – in particular China – is putting a dent in global supply. In Europe, meanwhile, an oversupply of milk led to farmers culling herds, which has now led to an unforeseen under-supply of butter. And locally, Australians have enthusiastically heeded the butter-is-better message as part of our all-round demand for full-cream milk at the expense of skim. Once it was a dirty word, but full-fat dairy is back in vogue. Figures provided by Dairy Australia (using data from Aztec-IRI) reveal that over the past decade, full-fat milk has increased from 57 per cent of the total market to 61 per cent. Since 2008-09, butter has made an even more dramatic comeback, from 42.7 per cent of the yellow spread market to 55.8 per cent; margarine, meanwhile, has dropped from 36.4 per cent to 25.9 per cent. "The biggest long-term reason for the butter shortage is a shift in consumer demand," Dairy Australia industry analyst John Droppert says. "Here we're seeing an increase of between 8 and 10 per cent a year and consumers are buying more retail butter as well. That certainly takes cream out of the market but it's something we're also seeing internationally. "McDonald's in the US is putting butter back on its breakfast menu and suddenly you've got a couple of thousand tonnes of butter disappearing from the market – and if McDonald's does it then others will follow. It's the same phenomenon coming from a whole heap of different angles that does add up." Naturally, it couldn't come at a worse time. The demand for butter increases seasonally in the lead-up to Christmas, and the bakers of the nation are becoming very worried indeed. Pierre Issa, of NSW-based artisan butter company Pepe Saya, has been inundated by butter-seeking calls both locally and from Asia and the Middle East. 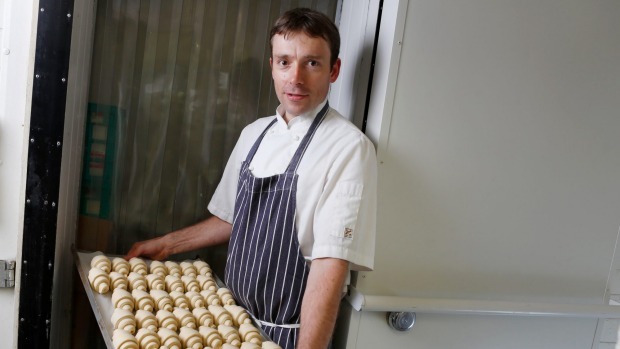 Demand for his product has gone up by 30 to 40 per cent over the past several months, he says, but it's the producers of baked goods such as croissants (which comprise, incidentally, a whopping 25 to 30 per cent butter) who are really feeling the heat. The price to the chef of a kilo of butter has gone from about $5.50 in January this year to a current $10.50. "I think the artisan bakeries will be hurting at this point, for sure," Issa says. "Plus there's going to be a point for manufacturers of baked goods such as cakes who have to fulfil supermarket contracts for Christmas that it's no longer viable and they go looking for butter alternatives." 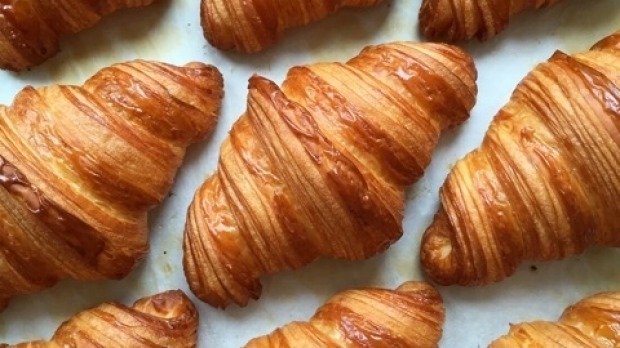 Thanks to butter's inflationary price, Michael James from Melbourne's Tivoli Road Bakery recently put his organic flour croissants up to $4.50 (may the jury please note that they had been $4 since the inception of Tivoli Road four years ago). The public's reaction to this travesty was immediate. "They didn't notice," says James. In short, the scenario is not all doom and gloom. 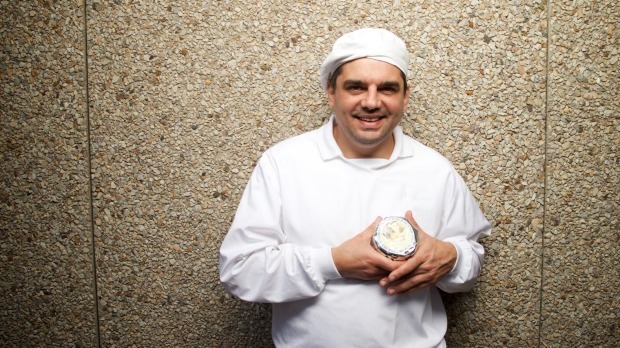 The shortage has certainly boosted business for local artisan butter makers (Issa, who supplies the Rockpool group, Aria and Qantas business and first class, says he "would never" capitalise on the current shortage by putting up his prices). 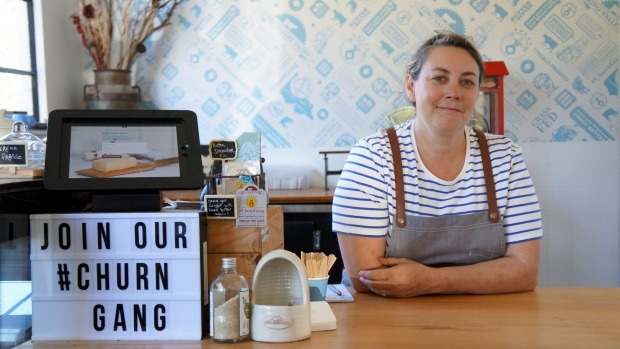 It has even come at the right time for innovative operators such as King Valley Dairy, where butter maker Naomi Ingleton has spent the past five months experimenting with creating a bespoke patissiere-friendly sheet butter. To cut a long scientific story short, the vast majority of butter used by Australia's artisan bakers comes from overseas – typically from France – thanks to a manufacturing process known as fractionating, which involves a lengthy separation process to increase the melting point. "Previously our butter didn't have the functionality but more and more Australian pastry chefs are looking for an alternative. 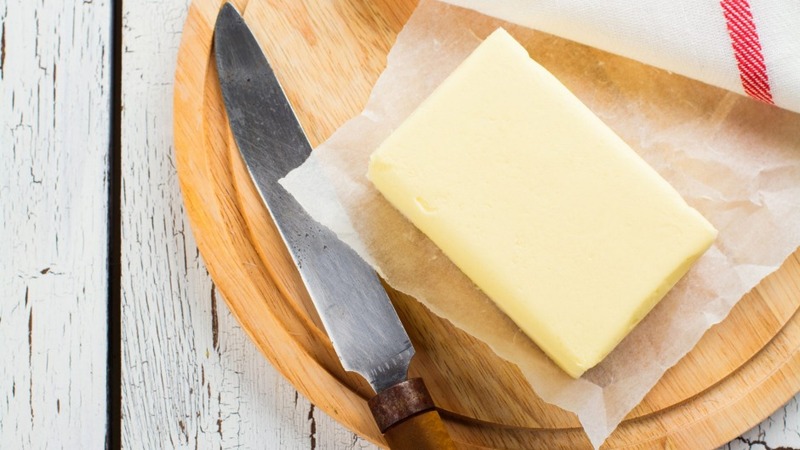 They want to use Australian butter – and we're price competitive," says Ingleton, who has devised her own small-batch process that eschews the additives of the traditional fractionation process. "It's partly a result of the shortage and partly a pure timing coincidence but it has helped get the message out, when otherwise it was a market we would have had to push really hard for. It's really been quite serendipitous for us." Tivoli Road is one such bakery – others include Woodfrog in St Kilda and Loafer in Fitzroy North – poised to move from French butter to Australian after months of experimenting with different samples from King Valley Dairy. "[The butter shortage] has been a really big thing for a lot of the bakers I know," James says. "It's always bugged me using French butter and I think we'll be seeing a lot of the key artisan bakers moving onto local butter now. Maybe, in fact, it's really a good story."